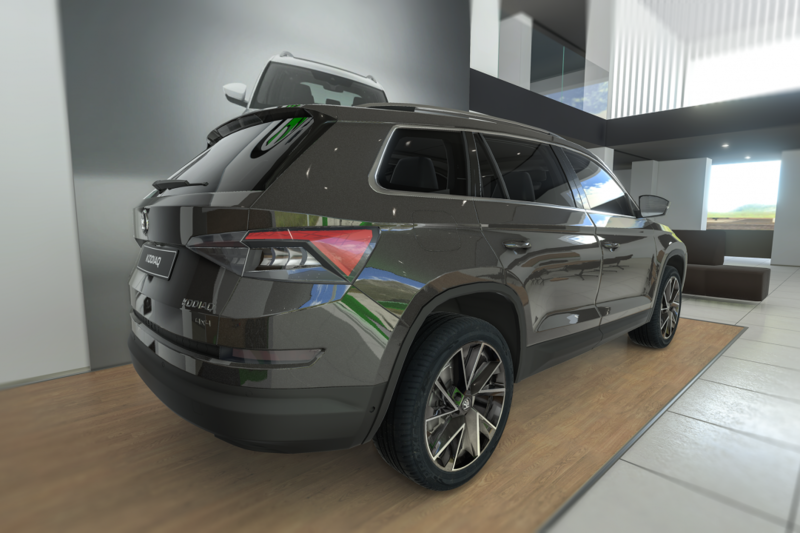 ŠKODA wanted to see if it could use Virtual Reality to supply in the need to create fully customisable car configurators which could be used, controlled and distributed all over the world. The car we used in the experience was the new ŠKODA KODIAQ. 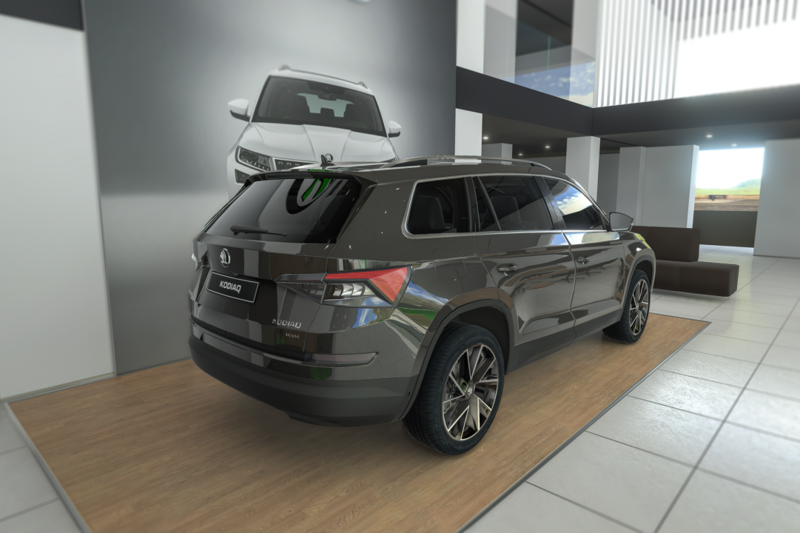 To create a realistic environment and overall spot on experience we recreated a ŠKODA showroom from scratch based on the high standard design requirements of actual dealerships. Our 3D showroom environment is build based on reference photo material, color schemes and other design requirements. Although the user (only) has a 5 x 5 meters area to move in we wanted to create an actual showroom with everything that could be expected in real life. The showroom has chairs, desks, tv’s, a kids car, color balls, different rims and a fantastic view outside. With a click of a button the outside view can be changed from Shanghai to Prague. 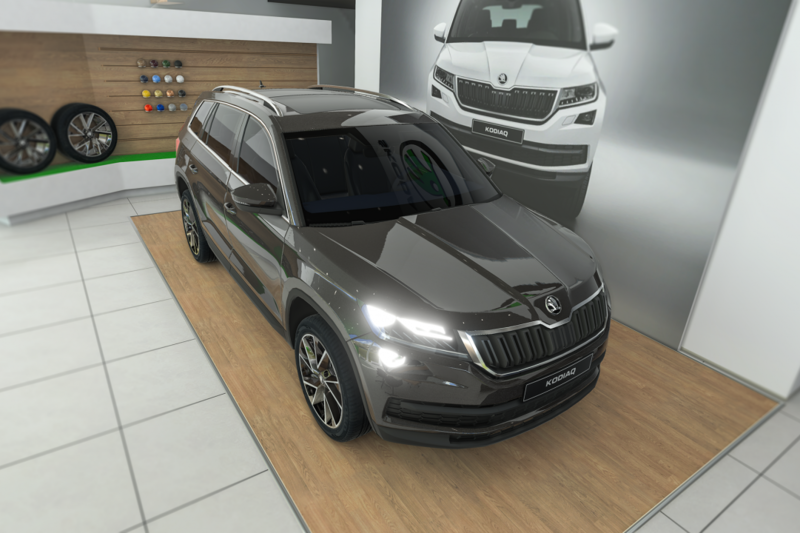 The KODIAQ car model is recreated from photo material to get it optimised for Virtual Reality. The main focus in modelling was on the outside of the car. We needed to create a (photo) realistic representation of the car, the paint and accessories. The challenge was to be able to get everything running smoothly on 90 frames per second in a Virtual Reality world. Full room scale (5.0 * 5.0 meters).